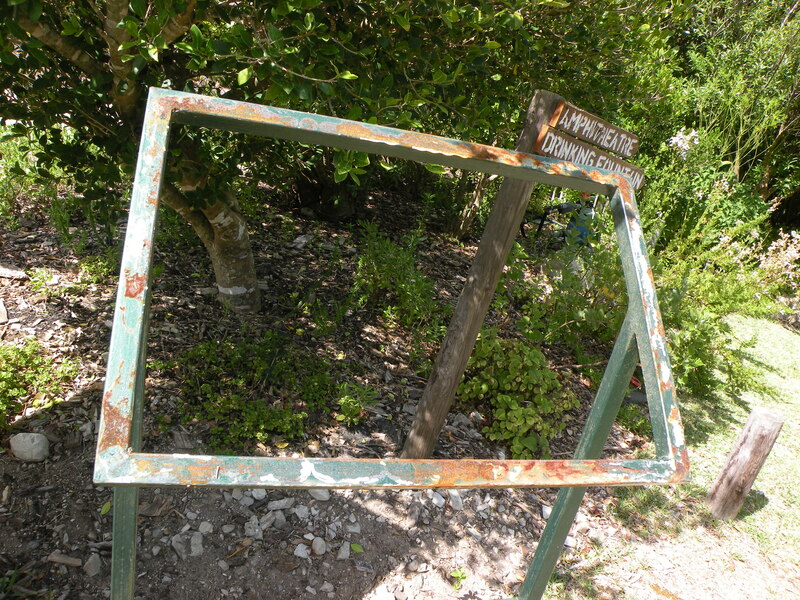 We were most upset this afternoon to hear that the board with common gardenbird species which we put in the gardens in Fernkloof had been removed/stolen! Graham and I rushed there, armed with a camera and this is the sad picture that awaited us. Thanks to Graham for fixing the board back in place – pop-riveting it on this time. Prof. P. A. R. Hockey, Director of the Percy Fitzpatrick Institute of African Ornithology, renowned ornithologist, scientist, biologist, conservationist, etc. will be a name that will be known to many people that are in some way linked to the birding world in Southern Africa. Our shelves will be decorated with many of his contributions to our pastime – Roberts Birds of Southern Africa Edition Vll, Sasol Birds of Southern Africa, Waders of Southern Africa, hundreds of papers in scientific journals and articles in popular press, etc. Phil’s driving passion was birds – he loved them! He was one of the few professional ornithologists that was a true field birder as well, and an excellent one at that. His passion extended to listing and twitching as well, a combination not often found in academics, but there was little that excited Phil more than the prospect of chasing another mega. The traits that many will remember Phil for were his friendliness and encouragement. Even although he was a highly respected scientist, he was quite happy to talk to someone who had just recently developed an interest in birds and did everything in his power to encourage them to build on their interest. He was never too high and mighty to talk to anyone, no matter who they might be and what their standing in life was, and I think many a young birder was encouraged and inspired through his efforts. On behalf of Hermanus Bird Club we extend our condolences to his family and especially to his wife Samantha. The ‘Berg to Breede’ challenge has started but you can still enter! This is one way to improve your birding skills and sharpen your identification ability. It is not a competition but an exercise to get you all to think about and notice the birds around you on a daily basis. Please contact me asap to add your name to the list! Our January evening meeting is on Wednesday 16th at 20:00 at Fernkloof. Our speaker is Vernon Head who will share his amazing experiences on the Galapagos islands with us. Don’t miss this! Vernon is a very busy man with a full-time job, plus being chairman of Cape Bird Club, chairman of Western Cape Birding Forum and chairman of BirdLife South Africa and still he makes time to travel to Hermanus to be with us. Please let’s give Vernon a huge, warm HBC welcome! Our January morning walk is on Friday 18th, meeting at Fernkloof at 07:30 to consolidate transport to travel to Stanford where we will walk along the river & also visit the picnic site. Bring along a mid-morning snack.